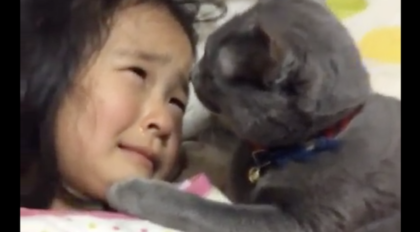 Little Kitten Was Rescued, But The Sound He Makes When He Meows…It Will Steal Your Heart. 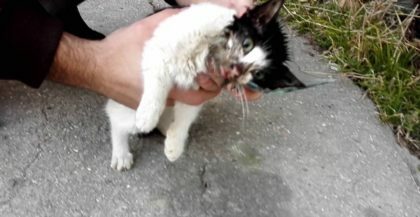 This adorable little kitten was rescue and he’s getting taken care of, but the adorable little meow box that this guy has isn’t something you hear every day! In fact the adorable little squeaky sound he’s making is almost too much to handle, it’s adorable!! Kittens have all kinds of different meows which makes them so special, but this kitten in particular has a meow like I’ve never seen before! Watch Hairless Kittens Get A Bubble Bath For The First Time… Oh My Goodness, TOO Cute!! 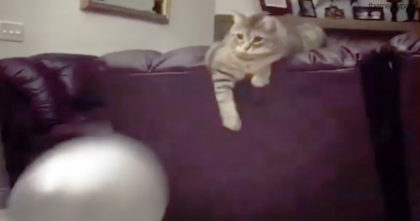 They’re bouncing the ball back and forth, but when the cat is done… Keep watching till the end!! 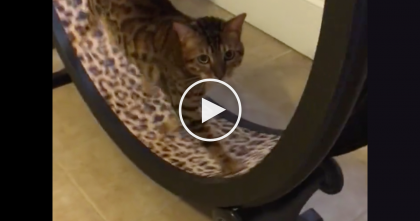 They Got Kitty An Exercise Wheel, But You’ve Gotta See His Response To It… Hahaha, This Is GREAT!